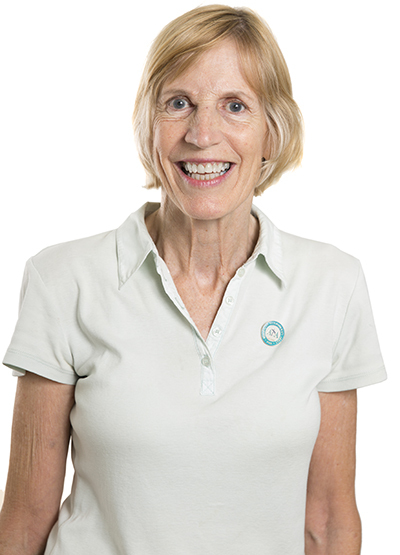 Cathy Stewart has been providing Physiotherapy services in Chermside for the last 10 years and has gained a reputation for helping conditions that have proved resistant to treatment by other practitioners. Highly skilled with over 30 years’ experience and post-graduate qualifications in musculoskeletal physiotherapy, Cathy is well qualified to provide assistance in the management of painful muscle and joint conditions and advice on posture and correct body mechanics. Cathy Stewart, Musculoskeletal Physiotherapist, (B.Phty; Grad. Dip. Adv. Manip. Therapy) trained at University of Queensland (1975), and with Geoff Maitland at South Australian Institute of Technology, Adelaide (1984), and is a member of the Australian Physiotherapy Association and the Musculoskeletal Physiotherapists Association (Tier 2). Previous roles before coming to Chermside include Volunteer Physiotherapist at Brisbane Commonwealth Games, Senior Physiotherapist (Musculoskeletal) at Royal Brisbane Hospital, and private practice work in several northside practices.